Today I have a very special treat for you! 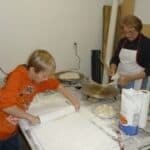 My dear friend Angela will be sharing her husband’s family tradition of lefse making. Angela and I each married a Norwegian boy, and neither of us has never made lefse. So I am really tickled that her family agreed to take over the wheel here, and give us all a peek into this beautiful tradition that they have chosen to carry on. “The Farmgirl is my friend. We’re the quintessential city mouse meets country mouse combo. I’m the blunt edged knife in her friendship drawer. My mother-in-law, Dolores is a farmgirl too. Not the blogging kind. But the lefse making kind. 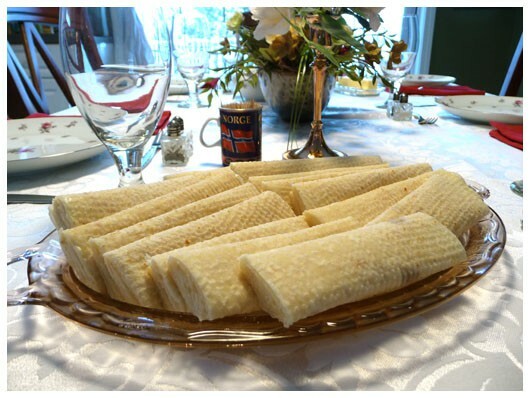 Lefse is a traditional soft Norwegian pastry made from potato, butter, cream and flour. It’s rolled thin with a notched rolling pin, grilled on a lefse griddle and turned with a wooden lefse turning stick painted on the handle with scrolly Scandinavian art. 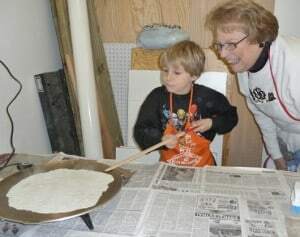 She serves her lefse filled with butter and sugar as a holiday treat for our family. Everyone looks forward to this tasty tradition. “I didn’t always know how to make lefse,” Dolores says. “But Paul (her husband of 46 years) said if I was going to marry him, I had to learn!” Paul married her anyway. But Dolores tells of her mother-in-law, Agnes coming to visit for 2 weeks when they were first married. “We practiced making lefse every day but Sunday,” she says. Grandma Agnes felt the skill was important to pass down. All that practice paid off. Everyone who tastes Dolores’s lefse agrees that hers is some of the best. 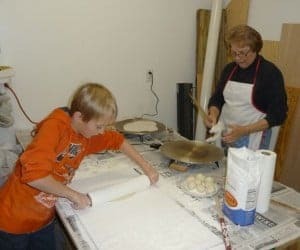 My husband would love to have his mother come and teach me to make lefse like she taught my sister-in-law Lori and my niece, Nicole. But I’m not a farmgirl and I’m not Norwegian. So Dolores taught her son how to make it! And now he’s teaching our sons to make it as well as some men from our church that yearn for a taste of the Norwegian nostalgia of their youth. I must say I’m pretty impressed with the male pastry chefs cooking up holiday happiness in my husband’s woodshop turned bakeshop at Christmas time. Many thanks to my two favorite farmgirls who share their traditional talents with those who’ll cook for me! And thanks to my dear husband for passing on a sweet piece of his heritage to our sons. Peel and boil potatoes with salt until soft when poked with a fork. Drain and mash. Rice the potatoes with a ricer into a large bowl to eliminate any lumps. In a sauce pan melt butter, cream, sugar and salt together. Do not boil. Using a hand mixer, beat potatoes together with melted ingredients. After potatoes have cooled, knead in flour with hands until thoroughly combined. Form dough into balls somewhere between golf ball and tennis ball size. Work with 6-10 dough balls at a time. Refrigerate the rest until ready to roll them. The warmer the dough, the stickier and more difficult to work with. Dolores uses cotton drill cloth from a fabric store stretched over a large board about 30×20 inches as her rolling surface dusted in with lots of flour. With a notched rolling pin covered in a non-stick fabric sleeve, roll out balls one at a time into thin circles. Have lefse griddle very hot. Shimmy lefse stick under rolled out dough. Place onto griddle for 20-30 seconds until it starts to bubble. Using stick, flip it over. Cook for 5-10 more seconds. Important not to overcook. It may not look fully cooked. Place each cooked lefse between two cotton dish towels to hold heat and moisture until finished with the entire batch. To serve, fold cooked lefse piece in half. Butter the half circle and sprinkle with sugar. From the rounded edge, fold one inch at a time until reaching straight edge. Cut into sections and serve. Keep leftovers covered to prevent drying. Unbuttered pieces can be refrigerated or frozen. I’m quite fond of this painting that Angela shared with me. 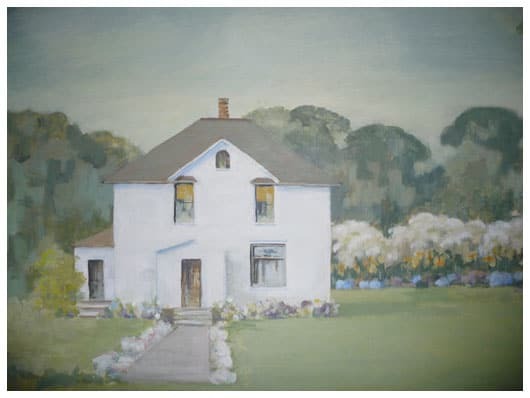 It’s of Grandma Agnes’ farmhouse. What a beautiful family keepsake! Thank you so much, Angela, for sharing your family’s holiday food tradition! 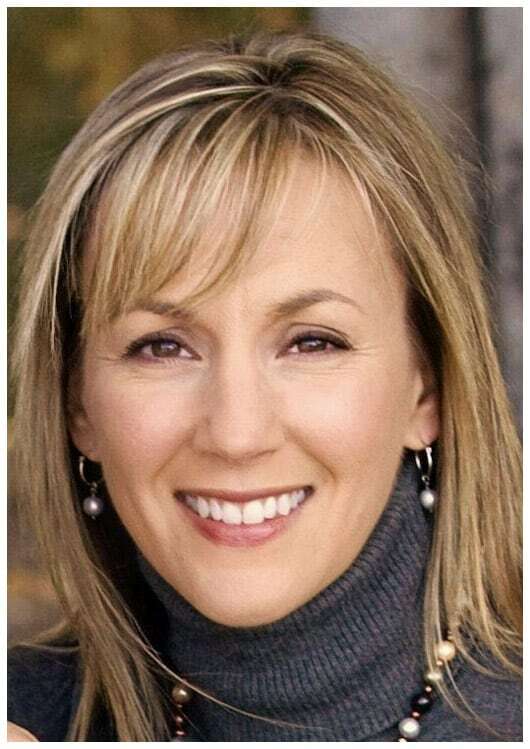 Angela Johnson is a writer living in Woodbury, MN with her husband, two sons and frenetic puppy. Her work has appeared in Woodbury Magazine, Southwest Metro Magazine and Minnesota Women’s Press. Her column, Angela’s Angle appears regularly on www.woodburypatch.com. Follow her on Twitter at @woodburyangela.